Rosebud CBD is comprised of CO2 extracted hemp oil mixed with MCT (medium-chain triglycerides) oil. Cannabinoids are fat soluble and are most effective when consumed with fat. MCT (coconut) oil contains saturated fat which helps the body absorb cannabinoids. Using MCT oil allows for a relatively rapid release. The oil is directly metabolized into energy allowing your body to burn those fats and put the cannabinoids they hold to use right away. 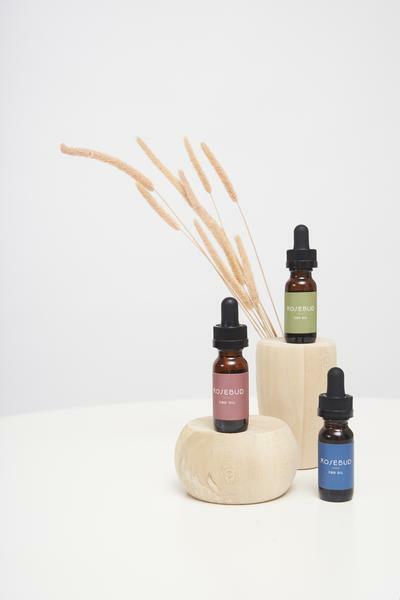 Rosebud CBD does not contain additives, flavorings, sweeteners or preservatives.